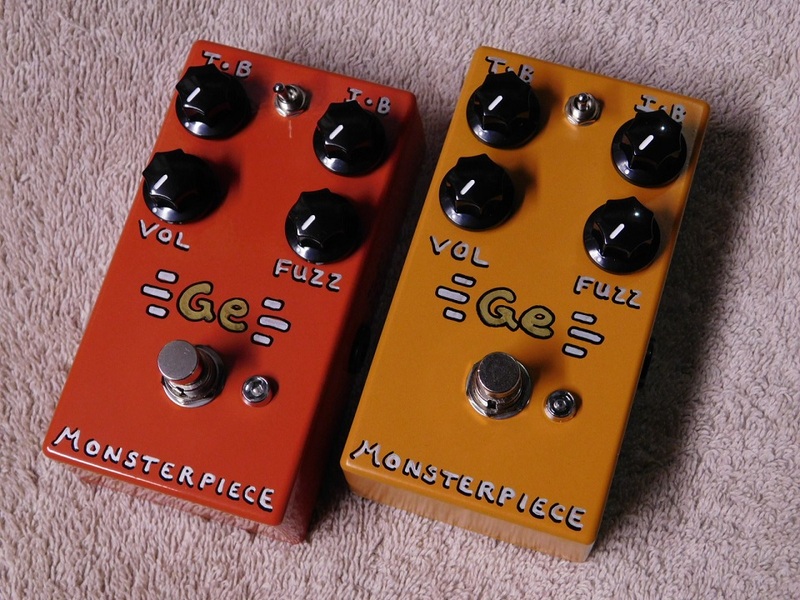 The Monsterpiece Ge Fuzz is the pinnacle as far as Germanium fuzz face based pedals go. This is a 2 transistor Germanium fuzz in which I use various new old stock Germanium pnp transistors such as GT308, AC125, and SFT352 that are hand selected for proper gain & leakage for best sound in each pedal. The circuit is based on the classic fuzz face circuit, but is by no means a straight up clone. Germanium fuzzes based on the fuzz face circuit are known for their exceptional dynamic response to both your picking & guitar volume knob. 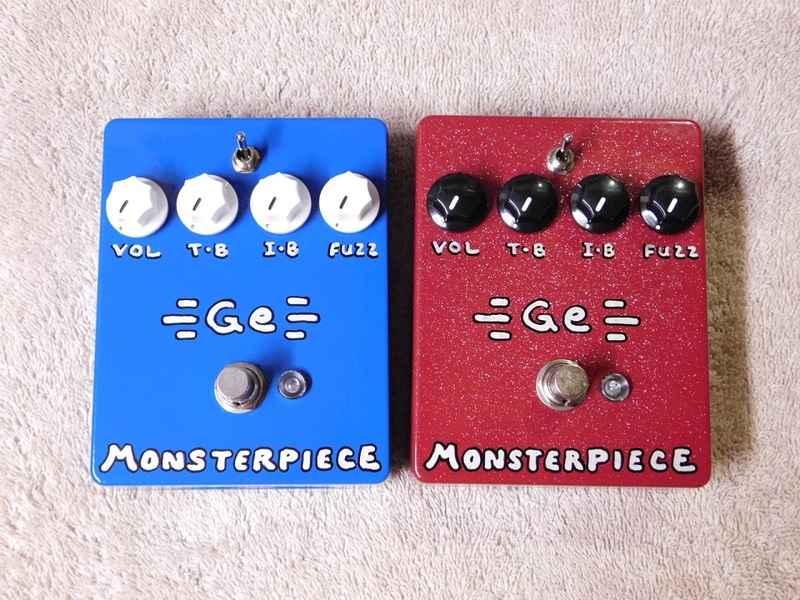 The Monsterpiece Ge is no exception – what separates the Monsterpiece Ge from other similar pedals is the range of different sounds that can be coaxed from it that, in my opinion, the others just cannot match. The controls are all external – Volume, Fuzz, Input Bias, Transistor Bias. There is also a mini-toggle “Voice” control that switches between a fuzz tone that has more or less bottom end. The controls are all very interactive – so experimentation is key. 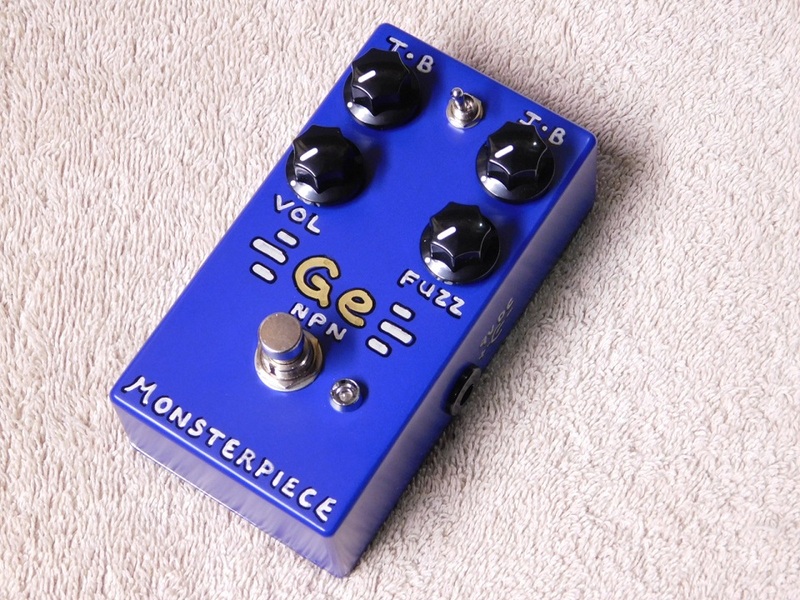 The Monsterpiece Ge can be powered by 9 volt battery, or by 9 to 9.6 volt dc adapter that has a center negative barrel plug. Because the circuit is positive ground, you cannot daisy chain power with an adapter.